Culatello di Zibello is heritage and richness of that particular foggy flatland near the big Po river; actually, it is the climate itself which represents a determining factor for the right aging of the King of salumi: the alternation of dry and humid periods allows the slow aging of these salumi, giving to them the distinctive flavours and fragrances which made Culatello famous all over the world. 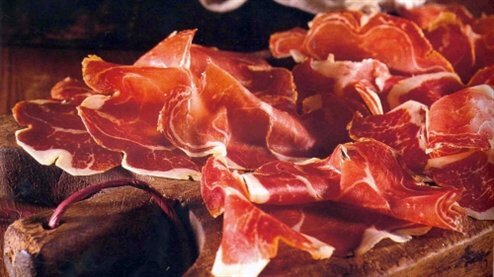 Culatello can be identified as salume which has been encased in a natural wrapping, usually a dry pork bladder. It is made with the muscular inner part of the thigh of the pig, opportunely skinned, deboned and finally wrapped up with twine, giving to the piece of meat its particular “pear” shape. The meat is then salted and seasoned with black pepper and/or garlic. 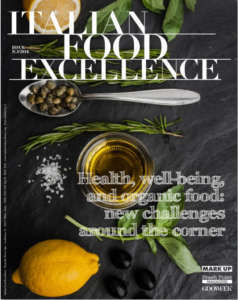 In additon to this, it can be used also extra dry white wine, sodium and/or potassium nitrate in the quantities limited by the strict law regulations. On 8th January 2009, the Consortium for the protection of Culatello di Zibello DOP (Protected Designation of Origin) was founded in order to protect and improve quality and representativeness of this product. 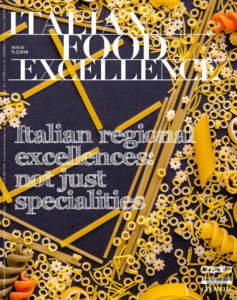 Only few places in the flatland along the Po River are licensed to produce it (Busseto, Polesine Parmense, Zibello, Soragna, Roccabianca, San Secondo, Sissa, Colorno). 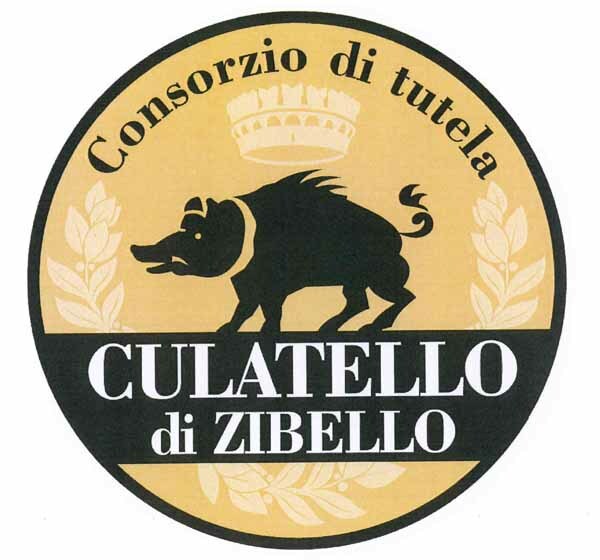 The consortium unites all 21 companies which are licensed to produce Culatello di Zibello DOP and in 2010 it obtained the official recognition by MIPAAF (Ministry of Agricultural, Food and Environment Policy), which increases and strenghtens the activity of protection and promotion of Culatello di Zibello. 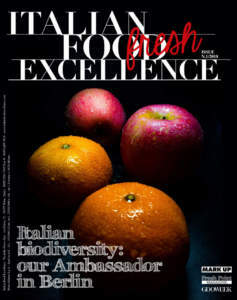 Under a strict regulation and firm quality controls kept by the Parma Quality Institute, the Consortium assures with its brand the traditional workmanship, an adequate aging and the exclusive Italian origin of the meat. The products controlled by the Consortium have to be entirely handmade. Furthermore, in order to maintain quality, only hind legs of pigs born and raised in the counties of Emilia Romagna and Lombardy are allowed to be used. The brand of the Consortium represents a pig, symbol of the ancient tradition of processing valued pork's cold cuts.